An Elite Audio Processor enabled for Software Conferencing Solutions Like Skype, Google Hangouts, WebEx, and More. Looking to upgrade your courtroom or agency recording system to something more professional than your current solution? 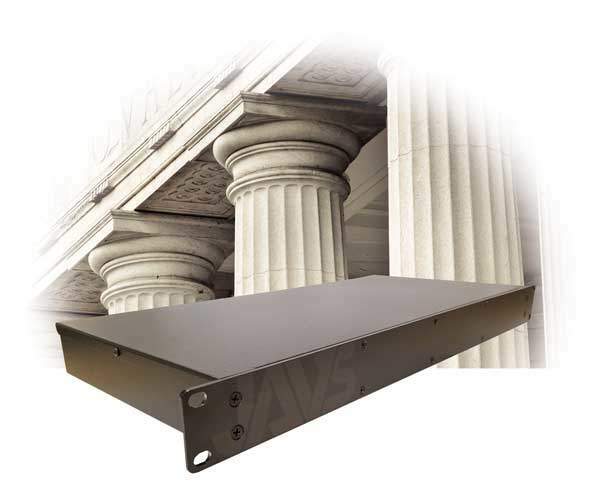 The JAVS P412 is a rock solid component to start with. This audio processor features 12 input and 12 output channels that are fully configurable and can be routed to suit your room or recording needs. The dual USB connections allow you to have a controlling computer, and a hardware recorder hooked up simultaneously, so you'll have full control over your system and never miss a minute of recording time. This versatile audio processor can be utilized with any ASIO-based recording software, but when paired with the Notewise software, each input channel is visualized and tracked so that you can see exactly which microphones are active and recording at any time. Do a lot of teleconferencing? The P412 is equipped with mix/minus capabilities, which eliminates participants hearing their own voices as feedback through the system. So, now you can have a professional quality sound and recording system with the ability to integrate programs like Skype, WebEx, Google Hangouts, and more. Know who is talking. Each of the 12 inputs on the P412 is recorded as a separate channel in your recording software. This not only allows you to have a visual indicator of which person is speaking at any time, but it also allows you to mute channels on playback to clearly hear what an individual is saying, even when people talk over one another. Every input channel can be assigned its own output channel, or you can assign multiple record channels to a single output channel. 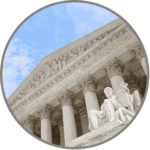 There are a vast number of scenarios and setups that individual courtrooms need. We've designed the P412 to accommodate for as many different scenarios as possible. Contact us today to speak to a sales representative. Each input on the P412 can be routed to a customized output channel. So, while you are getting your 12 recording channels on your court reporter's computer, you can output all 12 channels to a single source for recording, assistive listening system, judges chambers, and more. When paired with our FlexMic, you have even more control over how your courtroom captures audio. You can change the individual microphone pattern (omni-directional, cardioid, etc. ), Feather-touch pushbutton controls (push to mute, hold to mute, etc. 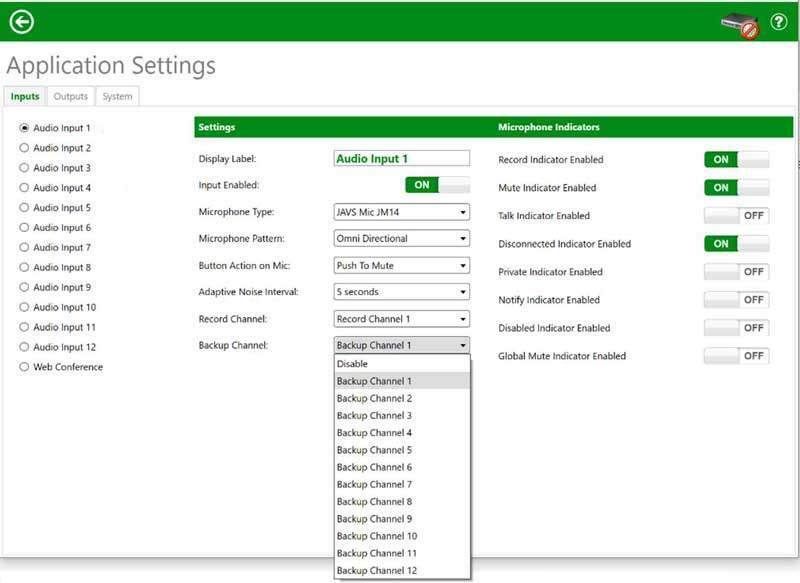 ), as well as enable or disable the record, mute, talk, disconnected, privacy, and global mute indicators on each microphones. Need to connect two computers, a computer and a hardware recorder? No problem dual usb outputs give you the flexibility to add the components you need in order to flesh out your ideal setup. Have questions about what setup might be right for you? No problem. We offer complimentary technology assessments to help you decide what you do, and what you don't, need. The P412 allows a user to sit at a single workstation and change attributes of any FlexMic that is connected to it. Not only does this save you time and energy, but the settings can be changed on the fly if needed, so that important proceedings are not interrupted by the need to stop and change out settings on the microphone itself. Not only is it a huge advantage to have 12 separate input/output channels, but with the P412 configuration tool, you'll be able to route each channel to an output channel of your choosing. Have three input channels that need to be output to the same channel while all the channels are being output to a public address system or a assistive listening solution? With the P412, you can make that happen. When paired with JAVS FlexMic, your options become even more abundant. You'll have control over the microphone pickup pattern, the feather-touch pushbutton action, adaptive noise intervals, and the multi-colored FlexMic LED indicators. Gone are the days when you have to run to the physical location of your audio mixer to toggle switches and turn knobs. All of the controls for the P412 are software-based. 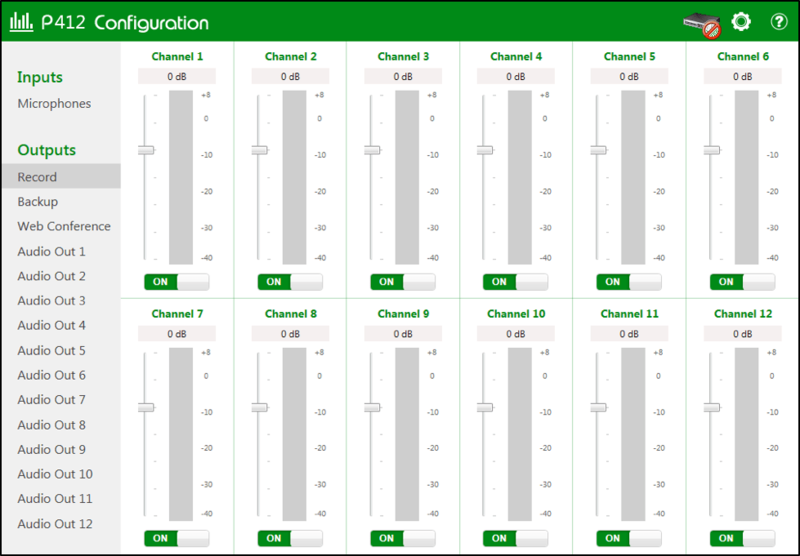 Control the gain for each channel individually, including separate controls for a hardware recorder, and conferencing. What's mix/minus? Mix/minus refers to the elimination of echo and feedback. Have you ever been on a conferencing call, and been able to hear yourself talking on the other end of the conversation? Mix/minus eliminates that feedback, so you can have a clear conversation, and not have to listen to yourself talk. All outputs on the P412 are configurable as mix minus, and are carefully set to avoid this feedback and echo. All outputs are also capable of having JAVS audio development algorithm for public address outputs, ensuring that audio will be leveled for maximum clarity. Each output can attenuate, reducing the force or effect of any inputs decreasing the potential for feedback. This type of mix is ideal for zone amplification scenarios for different areas of a room in need of a way to separate their public address into zones.